The Short Version: Vacationing in remote locales has become a popular exercise in relationship building, but not all travel is created equally. Many couples desire treks that are less touristy and more suited to their interests. As a result, savvy globetrotters are turning to Spotted by Locals for insider tips on the right ways to experience a city. The site delivers the scoop on one-of-a-kind adventures in destinations across Europe, the Middle East, and North America through the eyes of area experts. Users can save favorite places, chart out sites in hip neighborhoods, and even access maps where there’s no internet connection. If you and your partner are looking to strengthen your bond through travel, Spotted by Locals can help curate a unique trip you’ll remember forever. Most consummate travelers revel in finding hidden treasures when they hit the road. Whether it’s a quaint hole-in-the-wall restaurant in Rome for the perfect pasta Pomodoro or an underground burlesque bar in Prague, discovering a gem only the locals know about can be the highlight of a trip. However, if you’ve never been to Amsterdam, San Francisco, or Vancouver, it can be easy to get swept up in the tourist attractions and miss out on the aspects that really make a city unique. Without local knowledge, you may never learn about, say, the Alibi Room in Vancouver or Amsterdam’s huge King’s Day celebrations. Luckily, Spotted by Locals has you covered. Drawing from a vast pool of local knowledge, the site gives travelers the scoop on the one-of-a-kind adventures to which only area experts are privy. As the site’s, Co-Founder Bart von Poll, noted, having local experience not only gives travelers the best of a city but also creates a real opportunity to engage with people and learn more about their culture. Bart and his wife committed to that vision by creating Spotted by Locals. The goal was to better equip individuals and couples to appreciate the cities they visit on their excursions. As committed nomads, Bart and his wife founded Spotted by Locals because they personally experienced a need in the market that traditional travel sites weren’t filling. Spotted by Locals publishes a series of city guides with current and season-specific insider tips from writers who live in the destinations being covered. Available in web- or app-based formats, Spotted by Locals not only provides travel tips but also includes features, such as favorites and maps, to help globetrotters navigate a city’s hotspots. 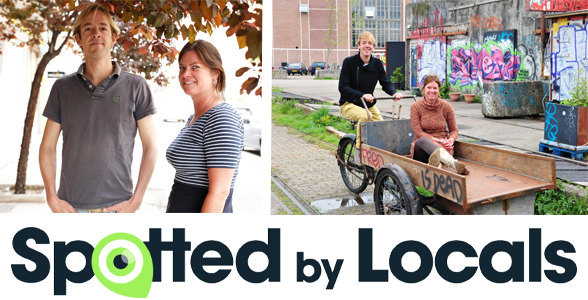 Bart and Sanne van Poll started Spotted by Locals to give travelers the inside scoop on destinations. The app and website are predominantly used by frequent travelers between the ages of 25 and 45 without children who enjoy traveling alone, as a couple, or with friends. The Spotted by Locals app gives you access to every piece of content written about the city guide you’ve selected. You download the guide, so you can use it offline to avoid costly roaming charges. The map is GPS-friendly, so you can spend more time in the city walking like a local. The app is a tourist-free zone and only recommends favorites hand-picked by the locals with intimate knowledge of the area. The guides are updated in real time, so they represent the best new city data out there. If a new restaurant opens in Munich, you can be certain you won’t miss it. Not only does Spotted by Locals deliver tips on where to go, but it also gives users a complete itinerary in its 24- and 48-hours-in-a-city pieces. Here, you’ll get an easy-to-follow guide of a city that makes sense and exposes you to all the beauty it has to offer. These articles were designed to give travelers on strict schedules the ability to easily visit the spots the locals think are a city’s highlights. There aren’t many places more romantic than Venice. Nuzzling with your partner under the moonlight as an Italian gondolier serenades you is one of the most touristy (but still beloved) activities on many a bucket list. But, once you’re ready to check out the less beaten path, Spotted by Locals has a bevy of fun experiences you can enjoy. In 48 hours in Venice like a local, Spotter Stacy Gibboni starts the day at the Rialto Market for its fresh fruit, vegetables, and fish. Go for a little walk, and then it’s time for lunch at Campo San Giacomo del’Orio for canal-side dining. Then you’ll love to gawk at gothic architecture at the Frari Church. Head to Tonolo for espressos with your sweetie. After that, the museums await in the Dorsoduro district, where Stacy’s favorite, the Peggy Guggenheim Collection, is housed. Stacy walks you through her Venice favorites as you continue enjoying the sites, stopping for gelato at Nico’s, and then head to the Piazza San Marco for a sunset selfie with your love. Dinner at one of her many dining recommendations is next on the list, and end your night dancing with your favorite partner at Venice Jazz Club. This walk-through Venice is just a small example of what Spotted by Locals offers. The site’s spotters won’t have you running all over town. Instead, they’ll direct you on a flowing journey to enjoy local neighborhoods as they would themselves. You and your beloved can add to this great community by becoming Spotters yourselves. If you speak the local language, currently reside in the city, and would like to expose more travelers to the city’s local charm, Bart would love to learn more about you and see if you’re a good fit. Bart is entirely committed to his vision of making a global community and feels a lot of satisfaction from what he does. When asked what users can look forward to in 2018, Bart said he’s focusing on former states of the Soviet Union and Yugoslavia. “The next ones will be Tbilisi (Georgia), Podgorica (Montenegro), and Prishtina (Kosovo),” he said. 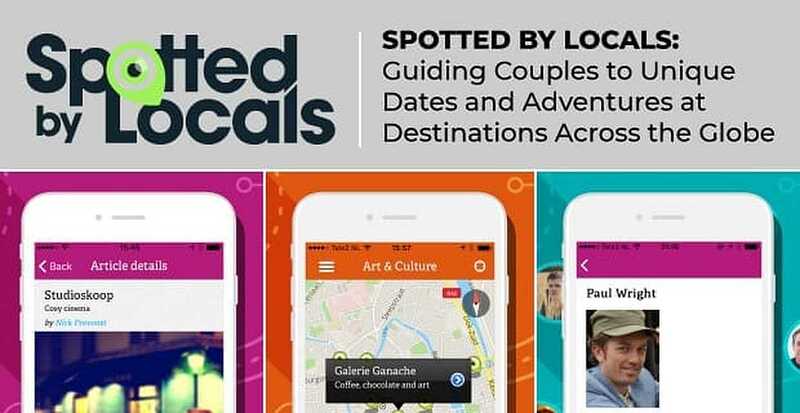 Once you download the app, it’s easy to start planning your next couple’s holiday with Spotted by Locals. You’re sure to see the hidden gems of a city and have experiences that will deepen your relationship as you learn more about foreign cities and the people who inhabit them.